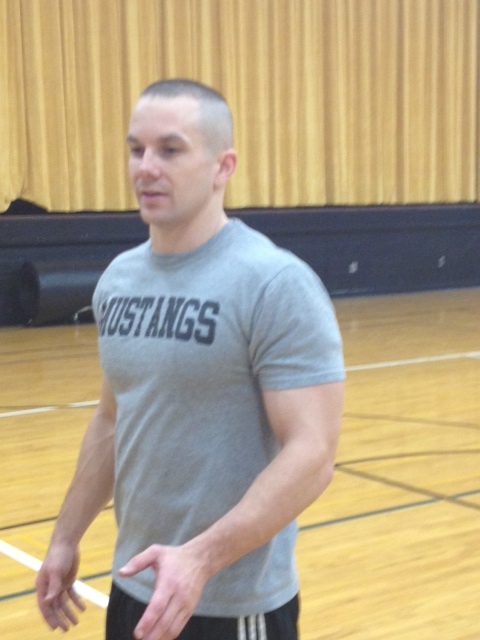 Occupation: Xo has been teaching and coaching at a Christian high school for 12 or 13 years. He has coached soccer, basketball, and wrestling. Family: Xo is married with two children, who both excel at the ages of 4 and 5 at the rear naked choke. Hobbies: Athletics, WW2 online, fitness and weight training, and Christian theology/apologetics. Years in game: Xo initially found the game and shared it with his brother, pfmosquito back in 2001. Initially, Xo preferred the faster more shoe-box games of Rainbow Six and the like. Technically then, pfmosquito played before Xo. Xo played for about a year or so as a lone wolf, often times working together with the 101st squad (pfmosquito’s first squad). Two years ago, Xo decided to give the game ago again. Preferred unit: It should be no surprise to anyone that Xo’s weapon of destruction is the smg. He prefers the French Smg. Back in 2001/2002 Xo exclusively used tanks and was in the top 3 of all tankers back in the day. Now, he exclusively plays infantry. Game Accomplishments: Top Smg player for two or three campaigns in a row, DOIC award, player of the week award, player of the campaign award, william wallace award, infantry ribbon, defensive ribbon. Awards for all players can be found on the forum.